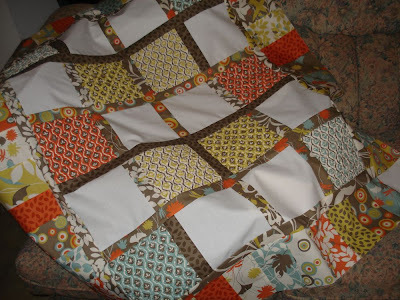 Baby Quilt & A Giveaway to Celebrate!!! To celebrate a new adventure for me, thought a giveaway was needed. 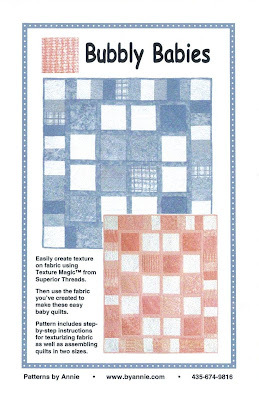 The quilt above is getting quilted and it has the great new product by Superior Threads called Texture Magic. 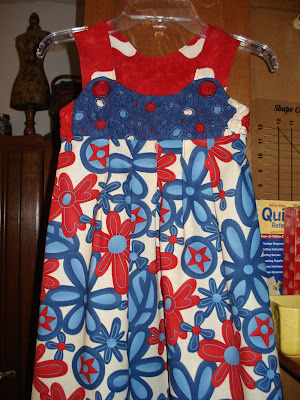 The adventure is being a Rep for Texture Magic and showing all the Shops, Guilds and Bee's in my area, a product that gives fabric a whole new look and feel. 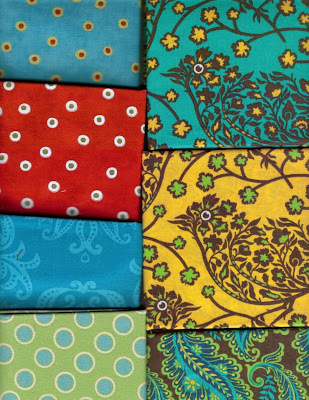 So in the giveaway you'll receive a package of Texture Magic, 9 Moda Fat Quarters, Moda 's White Fabric and Annie's wonderful pattern for the quilt in the picture above. 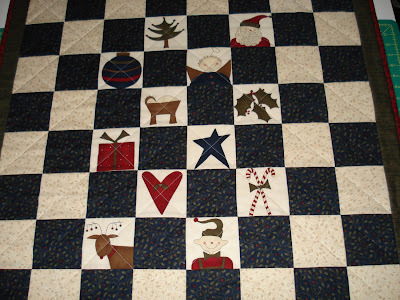 Her pattern has wonderful directions and easy to follow. You will love working with Texture Magic, I'll work on a tutorial on using it soon. 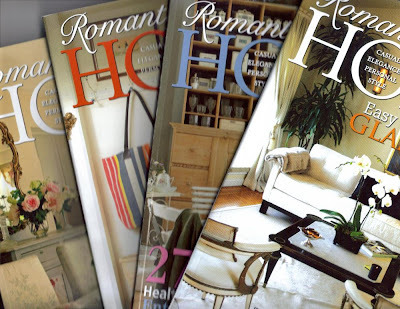 (No backing or batting included) I also will add the 4 Romantic Homes in for good reading. First comments is to enter the giveaway. If you would like a second entry, just blog about the giveaway on your blog. Come back and leave another comment. For a third entry, follow my blog or add me to your blog list. If you already do this just say in your third comment. Please comment each time, this makes it so much easier to count you 1,2,3 times. I also want to thank you for all the prayers and thoughts sent this way for a speedy recovery. I didn't get to email everyone, but each one meant so much to me. Giveaway winner will be announced on September 3rd. Oh my, another reason to celebrate, my birthday is on the 4th and just so glad to be here. 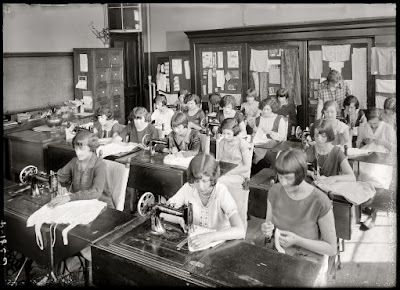 On the mend, Giveaway Soon and I wish I had this many hands to sew with! I didn't realize what all this car accident would involve. The Insurance Company is almost impossible to work with and I wasn't even at fault. URG! I had no idea they will not give you what you could of sold your car far. OK, now to happier thoughts. 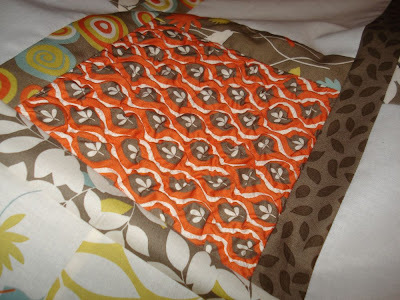 My knee is getting better and I've been sewing on projects that I will show soon, along with the giveaway information. So stay tuned in for the weekend. Sorry for not regular postings being made lately, but all should be back in order soon. A young 16 year old pulled out in front of me yesterday and totalled my car. Sore, but just thanking God no one was hurt bad. She didn't have any information with her and I had to call and find out all the information needed to make the claim today. Patiently waiting for the call backs. It's so hard to get anything taken care of with just one phone call. Insurances sure have changed. At first the policeman said she was 15 and then 16, I guess we will see on the report. So young, just maybe this will open her eyes for the future. I'm going to have a giveaway and will post about it next week to celebrate a new adventure. Check back for all the details. 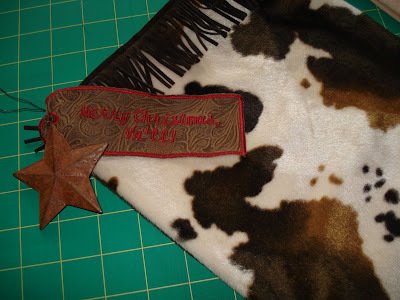 My Christmas in July package finally arrived last week and I thought I would post pictures of what I sent to Lynda. She has young ones still at home so I thought something for her and to keep them busy during the Holiday's would work. 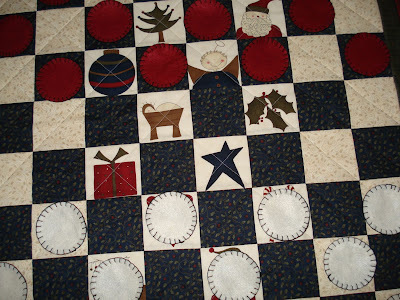 It is a table topper that you can turn over and play checkers. 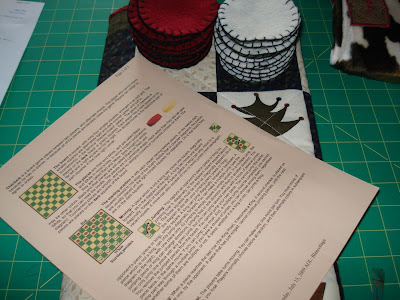 I printed off the game instructions and made the checkers out of wool with blanket stitch around them. 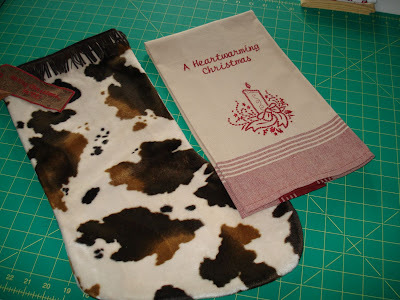 A Texas stocking and towel. 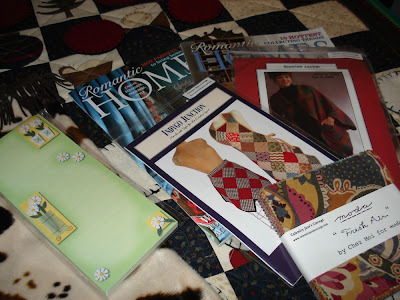 Tag says, "Merry Christmas Ya'll"
Patterns, Moda Charm Pack, magazines and a little tablet. Thank you Linda and Stephanie for hosting this fun event. A Girl Can Never Have Enough Purses! I just had to add this to the jumper. My grand daughter, which is only 5, grabs her purse if she is going out the door. I took the picture outside and the texture does show up better. 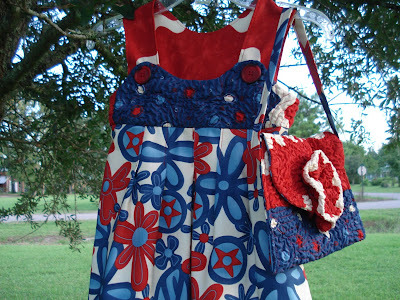 I sewed a certain design on the yoke and purse with red thread. When I did the flower I did stippling with a nylon thread. I like this better. I promise I'll take pictures of something else tomorrow. 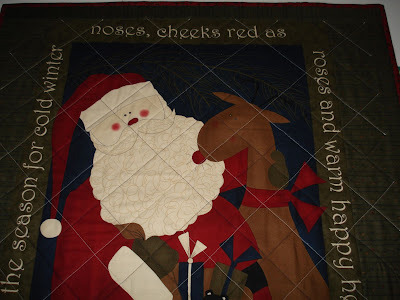 We are meeting to finish up our charity quilts, I need to remember the camera. You might can click on the top picture and enlarge it if you would like to see it bigger. 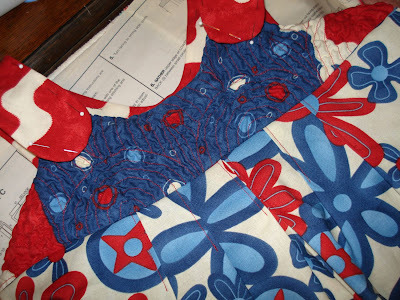 I need a close up so you can see all the detail of the yoke. Texture Magic really works magic. I love it. 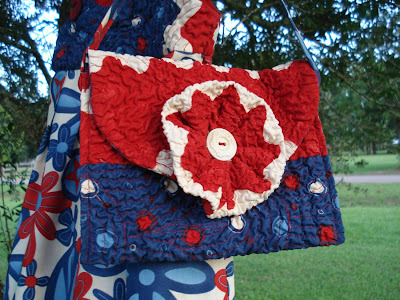 Working on the backpack and trying it on flowers, can't wait. 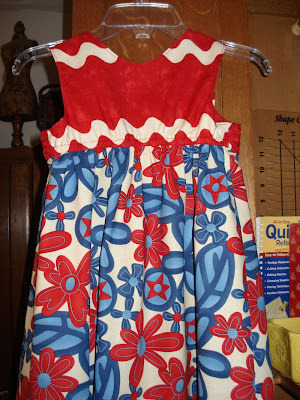 I only put it on the front yoke of the dress and different fabric on the back. I should of posted these pictures a few days ago, but at the retreat we decided to each make a quilt and donate them to a Children's Home. 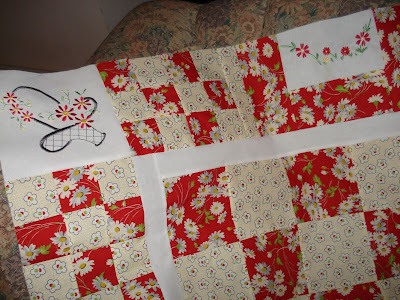 We selected an easy pattern and one of the ladies in our bee is taking the time to quilt them for us. Binding will be done on Thursday and maybe I can post some pictures. So time does fly when girl's are having fun. 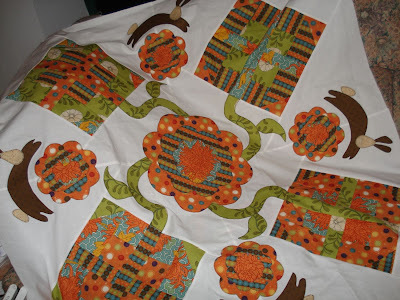 Here are a couple of quilts, I know I've showed pieces of them, but I did get to put them together at the quilt retreat. 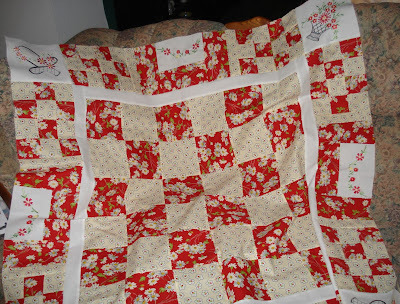 The first one (pictured above) is a baby quilt that really needs to be finished. I have a problem wanting to move on to new projects. The one below still needs one more small border. It will be for a table. Love red and yellow. 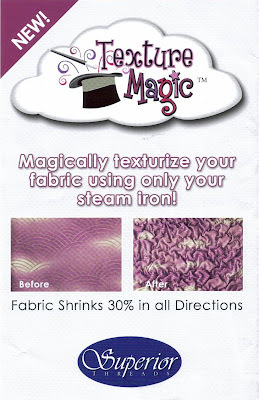 Now this is a new product,Texture Magic from Superior Threads and I'm using it on my grand baby's outfit for school. A backpack to match will have her set for the day. I'm just posting a peek and will work on these two projects the rest of the week. Texture Magic is so much fun to work with. If you go to Moda Bake Shop , Kim made a pillow using it. So cute!!! 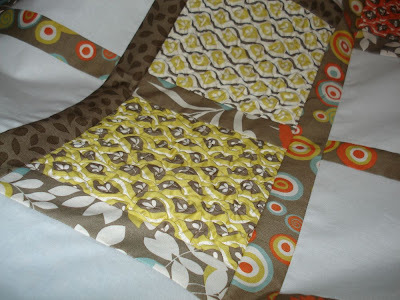 I have Texture Magic in my shop @ Calamity Jane's Cottage . Come on back for finished projects.